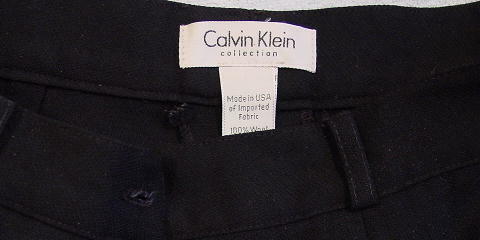 These black Calvin Klein Collection pants were made in the USA of imported fabric and are 100% wool. 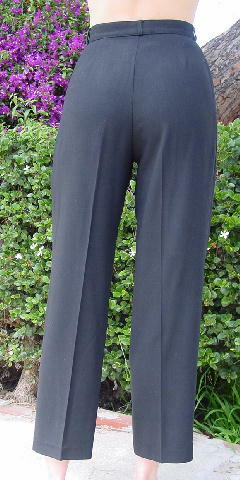 They have a 1 3/8" wide waistband, belt loops, and a one button front closure. 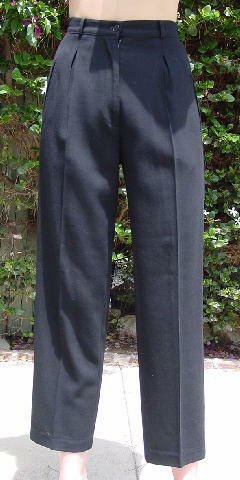 They have a 6 3/4" long front zipper, two front open darts, and two angled front slash pockets. They belonged to a petite Los Angeles model.